We will continue to keep you posted on Darren's progress as he forges ahead to save Bertha. Thanks again for all your interest, ideas and support. Here's a big thank you to everyone who helped our campaign to save Bertha. Weather you supported the campaign through direct financial support, helped us spread the word, or shared your pictures and memories - each action made a big difference. Unfortunately, we didn't reach our financial goal. All contributions here on Indiegogo will be refunded automatically. Darren continues his search for a solution for Bertha. He's currently looking to fund the work through a personal loan. If anyone is interested in lending the money or a portion of the money needed to get her in the water, please get in touch at tugboatbertha@gmail.comand we'll follow up by phone. Regardless of the outcome here on Indiegogo, if you wish to financially support his efforts to save Bertha, we ask that you contact us via email at tugboatbertha@gmail.com. 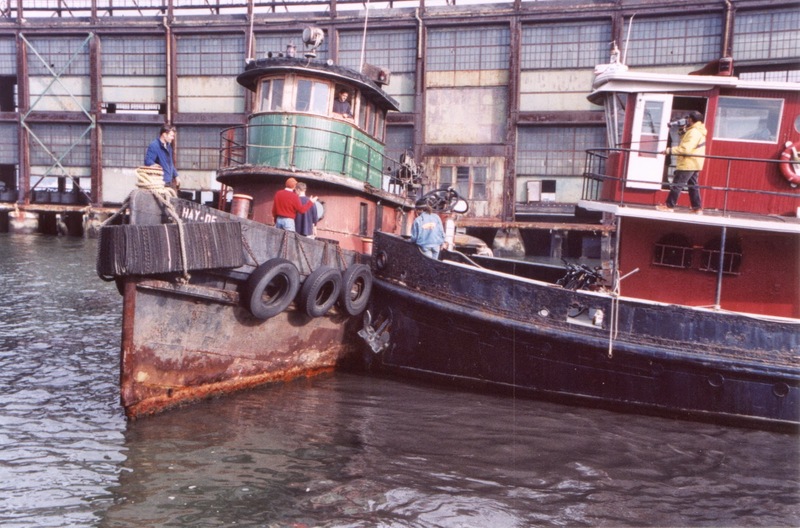 NY1 has finally released their piece on Darren and Tugboat Bertha! For anyone who didn't see the clip, you can now see it here! We have a few updates for you this week... We're close to hitting the $5,000 mark on Bertha's Indiegogo's campaign. Although we are a bit far from the overall goal, there is still lots of time left to go. So please take a minute and share the link with your friends and networks. Your help in spreading the word is much appreciated! No news yet on getting an unrestricted copy of the NY1 interview to share - but it is in the works. Our friend Will Van Dorp has written another beautiful photo essay. Check out that essay here Bertha update on Tugster. 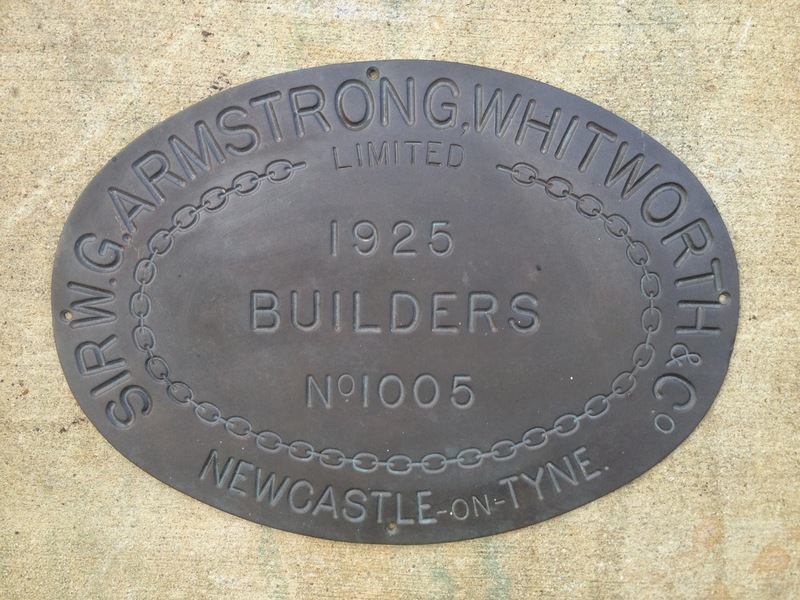 And one more photo - Darren recently dug up Bertha's original plaque from her construction by Sir W.G. 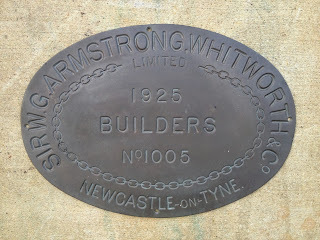 Armstrong Whitworth & Co, Newcastle on Tyne, England, in 1925! We are working on getting a copy of the interview without restricted access! Good morning! Great news to share with friends of Tugboat Bertha. 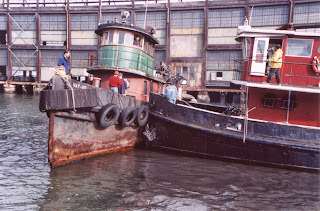 Yesterday, NY1 did a special interview with Darren about saving Tugboat Bertha. Check out his interview. It will be aired at 11:15 on NY1. It may also be aired again this afternoon in case you can't tune in at 11:15. Check at 15 minutes after the hour. Tugboat Bertha alongside in NY Harbour. Good friends and food on an afternoon cruise. 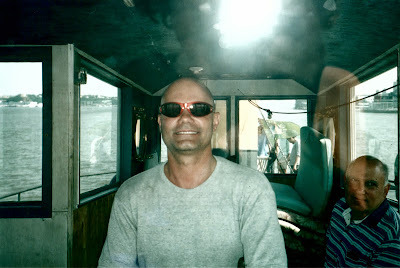 The Captain at the helm of Bertha! After graduating from Syracuse University with a degree in Industrial Design, Darren began Vigilant Design. Over the last 21 years, he has grown the business from a small operation under his father’s auto body shop to a sizeable design and fabrication business operating in a 12,000 square foot building in Jersey City. The focus of Vigilant Design is fabricating high-end furniture and architectural metal work. In 1999, Darren embarked on another project. 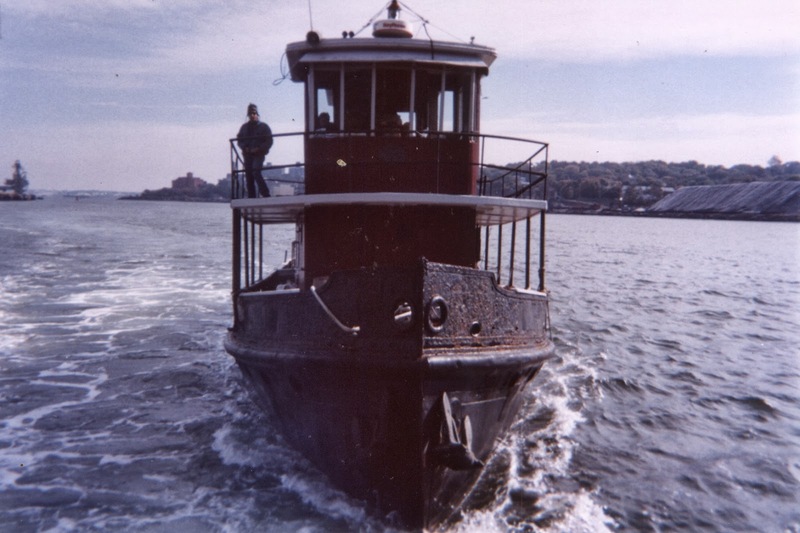 He traveled north to Newfoundland, Canada to purchase and begin a restoration of tugboat Bertha and ultimately sail Bertha to his home of New York City. Restoring Bertha has been Darren's passion for 14 years.